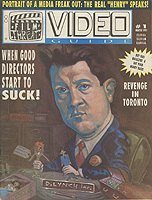 Includes coverage of David Lynch, Tim Burton and Henry: Portrait of a Serial Killer. 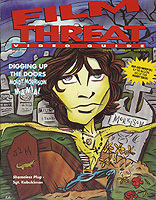 Includes coverage of Dark Shadows, Jonathan Frid, The Doors and Jim Morrison. 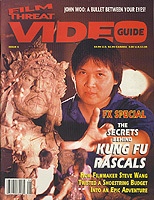 Includes coverage of Red, Kung Fu Rascals, Brendan McCarthy and Steve Wang. Includes coverage of Richard Kern, Lydia unch, Nick Zedd and Josh Becker. 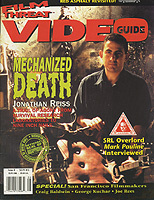 Includes coverage of John Woo, Scott Russo, Joe Bob Briggs and John Skewes. 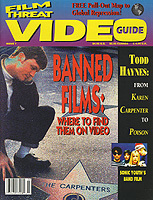 Includes coverage of Todd Haynes, Sonic Youth and Frank Zappa. 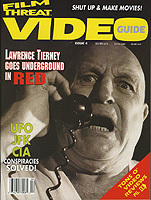 Includes coverage of Ari Roussimoff, Survival Research Laboratories, Ed Gein and John Wayne Gacy. Includes coverage of Jim van Bebber, GG Allin and the Murder Junkies, Jorg Buttgereit and Shramm. Includes coverage of Christine Martin, Lydia Lunch, Michelle Handleman and Beth B. Includes coverage of Hugh Gallagher, Nick Zedd, Mike Quarles and Chickenhawk. 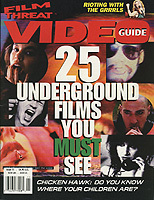 Includes coverage of Richard Kern, Marilyn Manson and Guy Benoit.